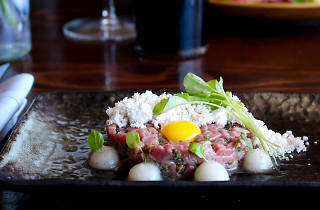 Making a splash in the South Bay is Baran's 2239, an intimate restaurant helmed by executive chef Tyler Gugliotta. A chalkboard filled with fantastic craft beers hangs on the wall, tempting diners to pair their smoked fried chicken with a local brew. An excellent wine list is also available, as are plates of gnocchi, Peruvian-inspired crudo and Manila clams. This is one of the most creative and cared for menus I've ever experienced. The service is incredibly warm and knowledgeable. One of the most genuinely satisfying restaurant experiences of my life. 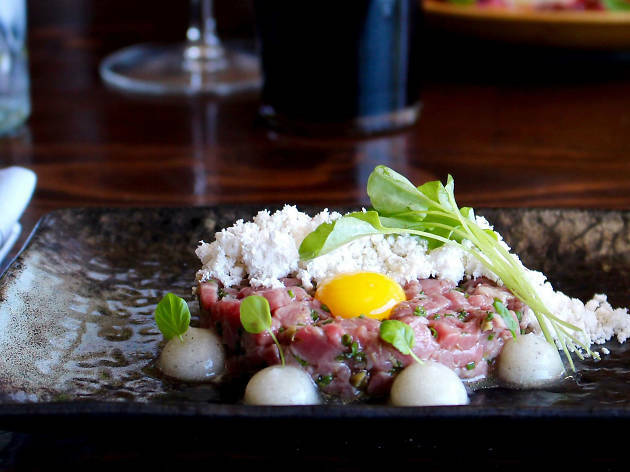 It's the best restaurant Hermosa has seen in a LONG time! There's nothing like it and the staff treat you like family! there is so much creativity in every dish and the service is great! Each item on the menu is one of its kind, and it all is spectacular. I've been more than satisfied each time I've visited. Great food, great service, GREAT ROSE! Every Time we eat at Baran's we get to eat chefs newest dishes and our favorites! The ambiance is perfect and the team is totally educated on each and every Dish on the menu. They are attentive and they make us feel special! I've never eaten more delicious food! The chef pays attention to each and every detail. From the time we enter the restaurant we begin a fabulous journey for the evening. Always an enjoyable event!! Amazing staff and service. Pasta dishes are perfect. Great atmosphere. Will be returning for another great night. Amazing food and wonderful atmosphere. My favorite is the Gnocchi Nero with the king crab! Very good food. Very nice staff. Very expensive (almost not worth it). Great food great drinks great atmosphere great staff!!! Great addition to the South Bay dining scene. I know this place is new, but it's already one of the best restaurants in the Beach Cities if you ask me. Everything I have had at this restaurant is delicious—the cheese and charcuterie boards, the kale dish, and the fried chicken (which is delightfully gluten free!) were some of the best dishes I've had in a long time. I will definitely go back, but have a feeling I'm going to need to make a reservation far in advance as word about this place spreads.